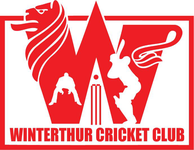 Cricket on Ice 2015 will take place on from Thursday 19th to Saturday 21st February 2015 and Winterthur Cricket Club will be submitting a team to play in the most prestigious event in the Swiss cricketing calendar. For those of you who have never participated, Cricket on Ice is actually play on packed snow on the frozen lake and normal cricket boots are fine (no studs!!). The rules are relaxed and the wearing of ski-jackets & gloves while playing is permitted. Thermal underwear is recommended, especially if we fail to get the sunshine that has been ordered. Don't forget sunglasses and sun cream too! It's a spectacular long weekend and the main purpose is to have fun, give everyone a chance regardless of skill level, and to try and win at the same time. Obviously there is a cost involved which we expect to be maximum CHF 220 a head (CHF2'500 per team). Included in this price is a quality COI fleece, COI woolly hat, midday meal and drink on the lake, and a greatly reduced price for the Gala Dinner on the Saturday night held at the Steffani. Wives, partners, friends and youngsters are most welcome and add to the fun of the occasion. Friends who would like to participate are also very welcome - so spread the word! We recommend the Hotel Sonne (Sonne, Casa Franca, Casa del Sole) which has rooms of varying categories, good prices and is well located. The hotel is also helping our event with some sponsorship. The event also receives sponsorship from the Hotel Steffani and the Schweizerhof so these are also preferred hotels. For those with a limited budget, besides the Sonne, the Hotel Stille and the Youth Hostel are well located and reasonable places to stay. Don't wait until too late to book accommodation. Please book the accommodation yourselves, but if persons would like to share with other to keep their cost down please contact John Hallam ASAP. Whether you intend to participate as a player or a spectator/guest, please contact John Hallam. We hope to see as many of you as possible on the ice and the excellent Gala Dinner on the Saturday night. All the 2015 Cricket On Ice Trophy results are available from the Cricket On Ice website. If you have any questionsplease contact John Hallam (COI Organisation Committee) or refer to the Cricket on Ice website.